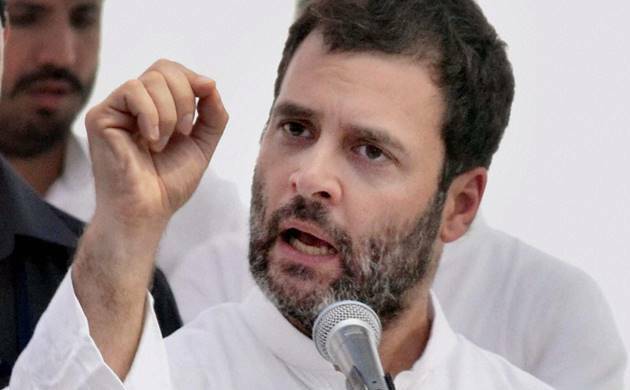 Congress Vice-President Rahul Gandhi took a dig at Prime Minister Narendra Modi over Khadi Village Industries Commission (KVIC) replacing Mahatma Gandhi’s image with that of PM in its wall calendar and table diary for 2017. Rahul termed this as “The Mangalayaan effect” on his Twitter account, implying that PM Modi was trying to take credit for the promotion of khadi and village industries, which actually was the outcome of Mahatma Gandhi’s propagation of Khadi use in the country. When Mangalayaan, India’s first interplanetary mission had successful landing on Mars in its first attempt, Rahul had alleged that Modi tried to take the credit for it when all the work on the ambitious project was initiated by his predecessor Manmohan Singh. Officials and employees of KVIC have also expressed thier displeasure over the move of excluding the image of Mahatma Gandhi from the cover of calendar and diary that now show Modi weaving khadi on a large charkha, in the same classic pose as Gandhiji’s.